California is famous for its beautiful weather and laid-back atmosphere. This large state is home to a myriad of beautiful natural features as well as man-made marvels. California’s pleasant climate and diverse landscape make it a top destination for those looking for unique adventures. California offers snow-covered mountains for skiing, deserts and caverns for hiking and miles of pristine coastline for surfing and swimming. California’s historical significance also makes it a hotspot to enjoy museums, preserved Gold Rush-era towns and numerous Christian missions dotting the desert landscape. Salvation Mountain– Created by artist Leonard Knight as a tribute to God, this 50-foot-high adobe art piece is a colorful declaration of God’s love for mankind. San Diego de Alcala Mission– The first of hundreds of Christian missions across California, this church marks the birthplace of Christianity on the West Coast. Other Christian missions include San Gabriel Arcangel, San Juan Capistrano and San Luis Rey de Francia. Wayfarers Chapel– Designed by renowned architect Frank Lloyd Wright, the class and stone church sits among the redwoods near the Pacific coast. The chapel offers scenic wedding services and holds regular worship services. The huge expanse of land that makes up the state of California is markedly diverse and unique. As such, California is a perfect place for adult retreat groups and youth camps. 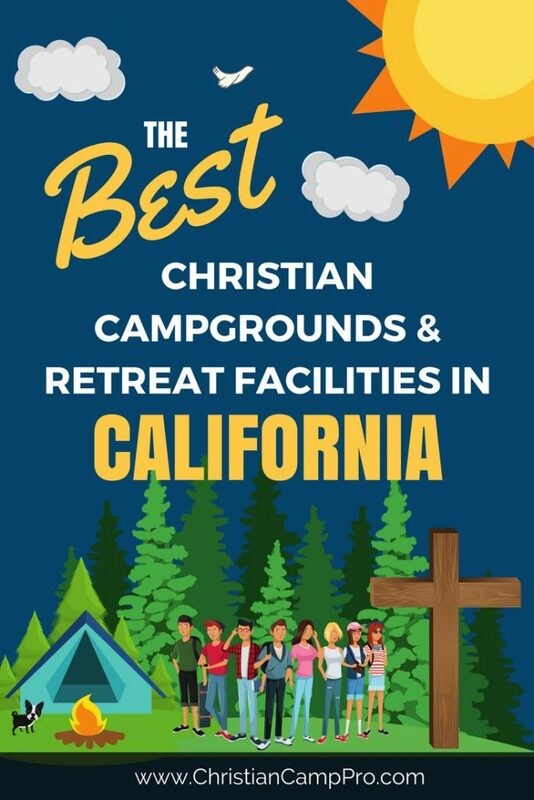 The variety of outdoor activities and historic sites offers something to please everyone and makes California a great destination for Christian groups. We make planning a retreat easy so you can focus on helping your group thrive!